Barbara Appleby and Valerie Arganbright created new levels of sustained giving for the second largest public media organization in the country, Minnesota Public Radio (MPR). 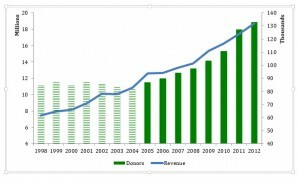 MPR’s revenue was increasing but its number of donors had flattened. Knowing that a robust fundraising program shows growth in revenue AND members, the team set about to change this. They did this by dismantling the fundraising program, retaining what was working and tossing what wasn’t. They reconstructed it maximizing best practices, creating and executing data driven strategies and focusing on individuals first. Arganbright started this work at MPR in 2005. Appleby left National Public Radio to join her efforts, bringing with her top-notch digital fundraising practices and strong analytic skills. With their leadership, MPR grew revenue and donors through the recession years that began in 2008. The chart below shows the success of their work. Since launching Appleby Arganbright in 2012, its clients have successfully created or re-launched fundraising programs focused on sustainable fundraising. 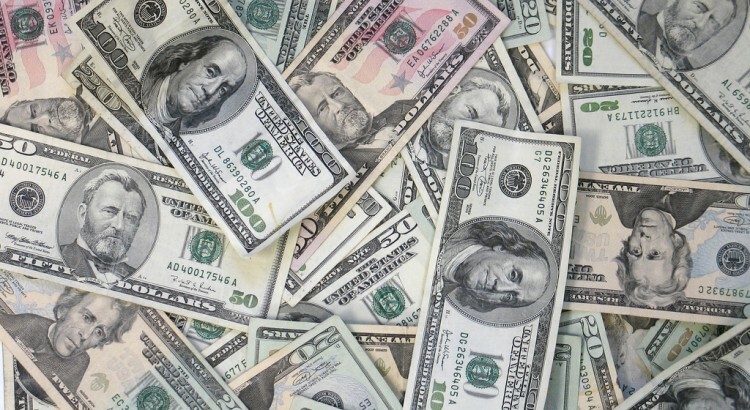 Public Broadcasting Atlanta increased its monthly givers from 200 in 2012 to 13,000 a year later by implementing AA’s recommendations from an assessment of its fundraising program. When Austin, Texas station, KUT, contracted with AA to bring their sustainable fundraising program to a new level, it increased monthly donor revenue from $84,000 to $144,000 a month. Other clients include the Twin Cities Animal Humane Society, Second Harvest Heartland, Women’s Foundation of Minnesota and the Center for Michigan/Bridge. In 2012, Appleby and Arganbright launched their business in order to partner with other non-profits who want to fulfill their missions through comprehensive sustainable revenue solutions. Appleby Arganbright provides strategies that transform loyalty into giving. They employ the use of best practices through integrated, multi-channel communication strategies.